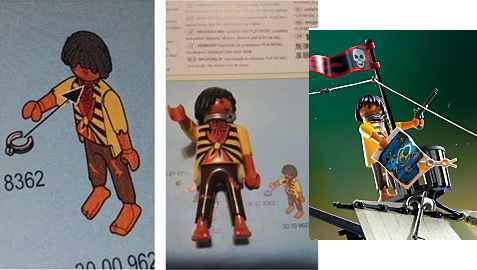 A woman bought a big Playmobil pirate ship for her nephew, and then got Facebook-upset when the instructions said to put a slave collar on the brown-skinned pirate. Other people got Facebook upset back, pointing out how the pirate ship has been around for 10 years and it didn't offend their kids. Which, maybe not the point? 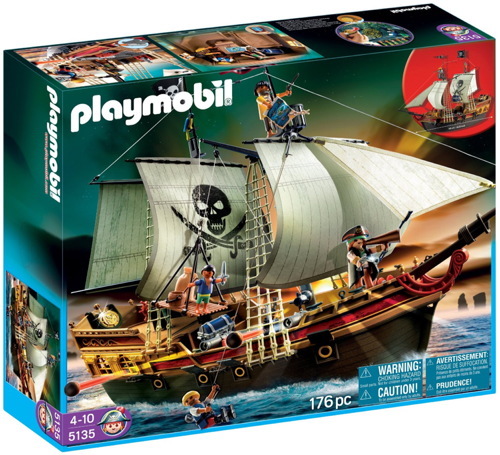 Playmobil got Twitter-responsive, tweeting that "In a purely historical context, the figure represents a pirate who was a former slave, and, as shown on the box, is now a member of the crew. We did not mean to offend anyone." So far, in a purely historical context, no one's upset about the pirate having a gun.